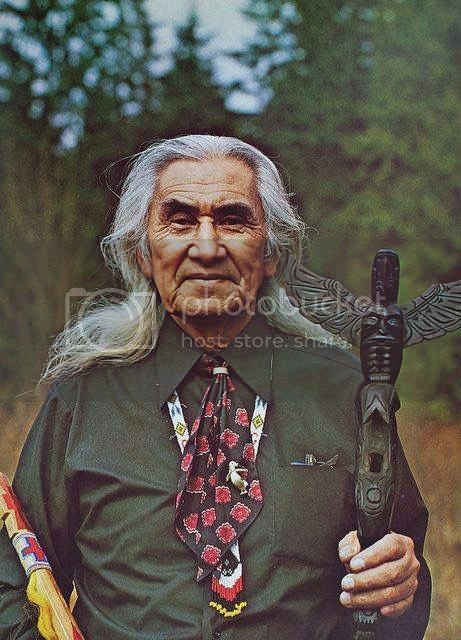 Chief Dan George (July 24, 1899September 23, 1981) was a chief of the Tsleil-Waututh Nation, a Coast Salish band located on Burrard Inlet in North Vancouver, British Columbia, Canada. He was also an author, poet, and an Academy Award-nominated actor. My favorite Cheif Dan George move is Little Big Man. I liked the Chief, a great actor! "I'm gettin' better at sneaking up on you like this. Only an Indian can do something like this." I liked him in Josie Wales too. "It's not for eatin'....it's just for lookin' through."